On Wednesday, December 12, U.S. Representative Sheila Jackson Lee (D-TX) reintroduced the Private Prison Information Act (PPIA) in Congress. 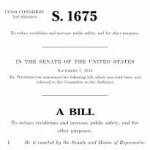 The bill, HR 5838, which requires non-federal correctional and detention facilities that house federal prisoners to comply with the Freedom of Information Act (FOIA), by making certain records available to the public. Current laws do not require private detention and correctional centers, even when contracted by federal authorities, to respond to FOIA requests. 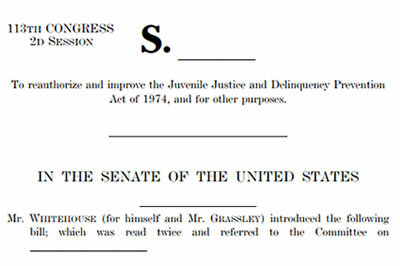 Senators Whitehouse and Grassley recently introduced a bill to the Senate that not only seeks to reauthorize 1974’s Juvenile Justice and Delinquency Prevention Act, but aims to correct other problems within the system as well. contains added protections for kids charged as adults. In the United States, 33 states spend upwards of $100,000 per incarcerated youth, but juvenile and adult recidivism rates prove this money isn’t being used to rehabilitate troubled youth, at least not enough. 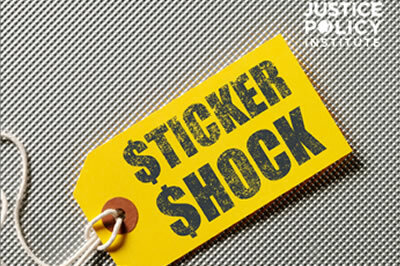 The new report, Sticker Shock: Calculating the Full Price Tag for Youth Incarceration, provides estimates of the overall costs resulting from the negative outcomes associated with incarceration, and some of the total cost figures are sure to surprise you. In this video from The Globe and Mail, Howard Sapers, Canada’s federal prison ombudsman, speaks with Affan Chowdhry about the government’s recent decision not to implement any of the recommended changes from the Ashley Smith inquest. 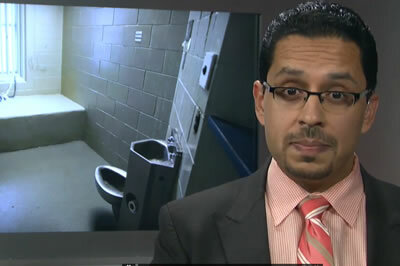 What does this mean for the state of Canada’s solitary confinement policies? In this video, see the Federalist Society’s Criminal Law & Procedure Practice Group panel on “Criminal Sentencing Reform: A Conversation among Conservatives.” The panel, recorded on Friday, November 14, during the 2014 National Lawyers Convention, discusses prison populations, the costs of crime and incarceration, and more. <img class="alignright size-full wp-image-1145" src="https://centerforprisonreform check it out.org/wp-content/uploads/2014/12/poverty.jpg” alt=”poverty” width=”200″ height=”133″ />At a time when debt is seemingly a way of life for many in this country, prisons and jails are finding their own ways to add to an inmate’s economic woes. While courts often charge court and victim fees, detention centers are also getting in on the practice, with some charging fees for things like basic supplies, booking and release fees, and some even charge a fee every day a prisoner is behind bars. One month after the elections, things have changed in California – and different parts of the community argue whether it is for worse or better. Police are frustrated by changes in which crimes produce tickets as opposed to arrests, and members of the court are receiving petitions from prisoners. This week, the Obama administration unveiled new guidelines that will allow juveniles in lockup to receive Pell Grants to further their educations. The new guidance clarifies that the two decade old prohibition on prisoners receiving the grants does not apply to juvenile offenders. For some of America’s most troubled teenagers, juvenile detention is the most lacking. For those on Native American reservations, facilities are incredibly lacking, often without education, computers, or any type of rehabilitative programming. See Robert Reilly, a former corrections officer and new author, discusses his experience working as part of America’s prison system, which he says felt like being part of an ‘insane science experiment’. Why did he feel more accepted by inmates than the rest of the prison staff?